We knew before we met you that we’d name you Micah. We waited to find out if you were a boy or a girl until we got to hold you in our arms (had you been a girl, you’d have been Myka). You are the perfect addition to our family and we are so thankful to be the ones God chose to raise you. This is the story of how you came into the world as written by me, your mama, exactly one year later. It’s not a perfect recollection but it’s not intended to be. It’s simply an imperfect remembering of a truly wonderful weekend that built up to your arrival on a stormy Sunday night. They had been forecasting the storm of the year to hit this weekend. Planning a homebirth, I thought through everything I’d need should the power go out while I was in labor. I pumped up the birth pool, set up an alternative way to heat water, and made candles. Lots and lots of candles. Everything was ready: the mattress where I’d be sleeping in the office was made up with sheets, blankets, and lots of comfy pillows; the birth kit was laid out for the midwife and her birth assistant; the fridge and pantry were stocked with kid-friendly food for Serafina and Caleb and I had made gelatin squares for quick energy when in labor. Let’s also not forget that I had a bottle of hard cider to toast the baby once we got to meet him or her! Caleb and I got home from taking Serafina to preschool and heard a loud crack outside. A huge limb from the neighbor’s tree had fallen onto our fence (yes, OUR fence – long story) and filled up half our yard. I freaked out inside wondering how we could take care of this before the baby came and in true millenial fashion, I posted a picture of it on Facebook with a status update somewhat to the effect of “are you kidding me how is this happening right now oh my goodness this is so not cool!!!!!”. Of course, I couldn’t get ahold of the landlord (and never could – total deadbeat). Not 15 minutes after posting the picture, a friend from church was over with his chainsaw getting the limb off the fence and cutting it into manageable pieces. I also got a text from another friend saying that she, her husband, and two sons would be by after school with their truck and trailer to haul away all the branches and leaves. I was overwhelmed by their generosity and so grateful. I skipped cross country practice that afternoon and by dinner time, I knew I needed to get out of the house. It was POURING down rain but I didn’t care. I put on my rain pants, borrowed Ben’s rain jacket, and went on a walk. I blasted my labor playlist and sang Shane and Shane’s version of Cornerstone as well as All Sons and Daughters Creation Sings at the top of my lungs in the squall. Micah had two due dates. This was one of them – the other was Monday. Having had my first baby on her due date and my second 90 minutes away from his, I knew I was close but didn’t really feel like today was the day. I kept myself busy making applesauce and puttering around straightening random things, flipping through magazines I’d seen a million times, etc. Auntie Kay came over with a soccer ball for Serafina and read books with the kids. She was a crucial member of my birth team with Caleb and while I was bummed she wouldn’t be around for this baby’s arrival, I was so blessed by her visit. I slept surprisingly well that night for how pregnant I was. I woke up feeling good but also felt the need to be alone (I should have recognized this inwardness as a sign of impending labor but in the moment, did not). I asked Ben to take the kids to church without me so he dropped me and Maya off at my favorite coffee stand on their way. I got an iced chai and we walked home. I listened to my playlist again (all worship music) and got totally caught up in the hugeness of God and how we can get lost in His love and goodness. I had been very frustrated and overwhelmed with this third baby and was frankly terrified of going through labor again. I was afraid it wouldn’t go well, that I wouldn’t be able to handle the pain like I had with the first two, that something would go wrong, etc. Having this time to myself to get some fresh air, worship, and be alone was so good and definitely something that helped me finish the mental preparation needed for a home birth. Ben and the kids came home, we had lunch, and he put the kids down for their nap. I messed around with a few things and then turned on the Seahawks game. Not long after kickoff, I realized this was the day I’d get to meet my third child (1:30 pm). I’d felt my uterus hardening but no real big contractions so I called my midwife. We chatted for a bit and she excitedly told me today was the day based on everything I was telling her. She said she’d slowly get ready to go and then come over in a bit. I texted a group of gals who had been my prayer support over the last few weeks and asked them to start praying as I knew I’d be holding this baby by tonight. I also called my friend Julie (in charge of Serafina and Caleb during delivery so Ben could focus on me) and my friend Angela (hiking buddy who I hired to take pictures – for me, there’s something about home birth that begs to be captured). Midwife Melissa and her birth assistant Stephanie (and *her* assistant in training Anna) arrived around 4:30 pm and got set up in the office and at the dining room table. Being GBS+, they started me on my first round of antibiotics. While I was attempting to relax in the office on the makeshift bed, my mom came by with dinner for everyone. I don’t think she realized when she offered to bring us dinner earlier than morning she’d be feeding an entire birth team! Every time I had a contraction, Melissa told me I could meet this baby sooner if I squatted through them. The first few I had after she told me this, I stubbornly didn’t squat, mostly because I knew they’d hurt more and I’d been dealing with the pain pretty well so far thank you very much. With each baby, my contractions were all quite similar: 5-7 minutes apart when timing the start of each one but 2-3 minutes long. She kept giving me a hard time and I finally squatted through a few and could feel just how much progress I was making. When she had arrived I was dilated to a 4 and at this point (around 5:30 pm), I was almost a 7. Her partner, Midwife Sarah, called and asked how I was doing. She asked if she could come by and I was so happy to have her; after Melissa gave her the rundown, she joked how it was perfect timing and she wouldn’t have to stay too long! She had delivered Caleb two Thanksgivings earlier and it was comforting to have both of them caring for me throughout the birthing process. We had the ultrasound tech write the gender on a piece of paper and put it in an envelope. This envelope sat on our piano for 20 weeks! Throughout these contractions leading up to transition, Serafina and Caleb were pretty clueless as to how much pain I was in. Julie kept them pretty occupied and they’d approach anyone sitting down with a book and ask them to read it. When I finally decided I was ready to labor in the tub some time after 6, they asked if they could get in to which they were told no. Serafina wanted to know why and I let her know that the only people who could get in the tub were those pushing babies out of their girl parts that day. Logic ruled and she concluded she nor Caleb could get in the tub with me. They also tried to put their stuffed animals in the pool to which I responded no and pointed out that cats of any kind – real or otherwise – don’t really like water. By this point my contractions were only 1-2 minutes long but now 3-5 minutes apart, giving me little rest in between each one. I got really hot in the pool and got out in between contractions. I also did a few contractions out of the pool but felt like I was getting close so I got back in. Having had Serafina in a hospital 20 minutes after arrival (read: no laboring there, just on my back pushing for 10 minutes with no idea what was going on) and Caleb on my hands and knees on our bed in our upstairs bedroom, the pool was a new experience and I wasn’t sure if I was going to have this baby in the pool or not. It’s not that we (the midwives and I) hadn’t discussed it but more of the fact that I wasn’t sure if that’s how I wanted it to go (assuming I’d have a say since birth is so unpredictable). I had spent most of my time with my belly forward, using the buoyancy of the water to hold it up while I hung on the edge of the pool and tried to relax through contractions. Melissa asked me to flip over so she could check the baby’s heart beat through a contraction so Ben helped me flip over and draped my arms across the back of the pool. I remember Anna bringing me a fresh cool wash cloth and hearing Melissa and Sarah discussing when they should check my dilation again when I felt the intense need to flip back over and start pushing. Without warning, I cried out to Ben to help me turn back over and as soon as I could get onto a modified version of all fours (knees on the bottom of the pool, arms over the edge of the pool), I pushed hard. This broke my water and there were bubbles coming up in the pool. I didn’t have a chance to tell anyone I was ready to push but just yelled deep and loud and pushed with the next contraction wave (push #1). I heard Stephanie say she could see baby’s head and I felt the urge to push again. Melissa calmly asked me to let my body relax in between these contractions so I wouldn’t tear by pushing too hard and fast (I’m glad I listened as I ended up not tearing at all!). There was flurry of activity and Melissa nearly fell into the pool because the angle my body was at put the baby far away from where she could stand and reach in. Melissa kept coaching me through two more waves of contractions while Ben held my hands so I had something to push against (pushes #2 and #3). The baby appeared under the water and Ben quickly flipped me back over onto my back. Melissa wiggled the baby up onto my chest but being a long torso-ed woman, it’s was a ways to put a baby on my chest with the cord still attached. Ben had to hold me a bit under my arms to get me out of the water enough to have the baby up on my chest but not in the water. After we got situated, Melissa asked if we’d like to know if the baby was a boy or a girl! It had been a few minutes and we hadn’t even thought to check yet! As soon as she said he was a boy, I couldn’t stop repeating over and over, “Thank you, Jesus!”, “Hi there!”, and “Hi Baby Micah!” I was so happy to finally be holding him. We cuddled while we waited for the cord to stop pulsing. Afterwards, Ben said he was surprised at how quickly it went (1:30 pm to 7:23 pm) and also told me he was a little concerned about Micah because he was blue. Micah did cry right away, though, and was getting plenty of oxygenated blood from his cord. Micah was born at 7:23 pm, three hours after a Seahawks victory just like his big brother Caleb. He was 8 pounds 15 ounces and 21 inches long. His big brother and big sister came out of the office to meet him just a few minutes later – Julie had taken them in there to watch a movie while I was in the last 20 minutes of delivery and she said they didn’t even flinch when I got really loud. Having two midwives and two birth assistants around was amazing in this post delivery time. One of each attended to me, getting me out of the tub, helping me delivery the placenta, etc and one of each attended to Baby Micah, checking while he had skin to skin time with Ben. My mom had brought a pie along with dinner and Julie had popped it in the oven earlier so we toasted Micah with the hard cider I had picked out along with piping hot blackberry pie. I settled in to the mattress on the floor with tons of pillows and blankets and we had some family time with each big sibling taking turns holding the new baby. Melissa did the full newborn check and he did great in all categories but she did notice he had a tongue tie. She offered to snip it right then but she encouraged us to go to a specialist later that week which is what we opted to do. All of the helpers slowly left but not before I gave them each a present. When it comes to love languages, I’m a words of affirmation and gifts girl so each of these special women got a little clutch and a card of my thanks. Birth is so personal and so intense and you have to have just the right people around you to make it successful and dare I say enjoyable (as enjoyable as non-medicated vaginal childbirth can be!). Ben put the kids to bed and Micah and I snuggled in to our bed for the night. Maya, who had never left the living room except to go to the bathroom, also settled in right next to the bed on the floor. Micah did a pretty good job nursing those first few feedings and I felt good enough that I told Ben to go upstairs and go to bed. None of my children’s births was a favorite. The first, while the process was not what I might have wanted it to be, was the one that made me a mother so there’s no replacing that. The second was my first home birth and my first son and it was on Thanksgiving night so there’s no comparison there either. Then Micah’s birth was a gender surprise (by choice) and a birth pool home birth so that’s entirely different too. With Micah’s birth, I stayed in bed with him (minus bathroom breaks) for nearly 3 days. I also didn’t leave the main floor of our house for a week. Taking the time to rest and recover even for just a few days was exactly what my body needed. I am still – and always will be – in awe of how God made women to birth babies. By listening to my body and the sound coaching of my midwives, I have loved both of my home birth experiences. While obviously difficult, birth is also exhilarating and I am so thankful for the birth experiences I’ve been given. I posted this on my old blog back in July of 2013. We’ve added a child to our family and rebuilt that fence but Ben still works his tail off for our family and I still get to enjoy those dahlias outside our kitchen window. We’ve had our share of struggles professionally, physically, financially, spiritually, and emotionally this school year (that’s not quite over) but I’m heartened to know that God wants us to endure trials because they force us to depend on Him. Not only have we strengthened our relationship with Jesus over the past months, we’ve reinforced our marriage relationship, and we’ve also deepened our bonds with the friends and family He’s blessed us with. As we prepare to welcome a third child to our family – not until October, mind you – we are prayerfully considering our commitments as we want to make sure we can continue putting the right things first. I remembered writing this *extremely* short post back in the day and hunted through my archives for it because it reminds me of the small yet important things. For more musings – and another old blog post – check out a guest post I wrote on how small is beautiful. As I preach to myself to love the ordinary and, more importantly, be content with it, I hope you can be encouraged as well. God blessed me with a husband who works really hard to provide for our family but who also is incredibly thoughtful…which is why I have dahlias growing outside my kitchen window. Last fall when Serafina was itty bitty and I was learning the ropes of being a stay at home mom, Ben brought me flowers one day. But they were in a bag! In other words, he brought me a bag of dahlia tubers for planting in the spring. Dahlias are my all-time favorite flowers and instead of bringing me a bouquet that would die in a week or so (which I would still very much appreciate! ), he gave me something I can have every summer/fall. To make the view even sweeter, Ben and Serafina decided to hang out in the shade right in line with the flowers. I will do dishes for DAYS when I get to look up from the sink and see this. God is so good…lovin’ my corner of 98201! I started this a few days before we delivered our second child but couldn’t bring myself to finish it until Thanksgiving morning…the day he was born. It seems fitting that the Lord would wake me up at 3 am on the last day as just her mom (a title I had given this post when I started it) to finish putting my heart into words for our first born. I hope it encourages you today. I’ve gotten to be your mommy for just over two years now. You are a constant source of joy, laughter, and love. You make me so thankful that God let me carry you for exactly 40 weeks and then welcome you into the world in a way fitting your name’s meaning, something that hasn’t changed as you’ve started to show us your personality. For the last few weeks, I’ve snuck into your room every night before I’ve gone to bed to kiss you again and make sure you’re tucked in because I don’t know if that will be the last night you will be my only child. I’m sure your daddy thinks I’m being silly but I know inside he is sad we won’t be a family of just 3 anymore. Speaking of Daddy, you are quite the daddy’s girl. Even before you could speak, you had this light in your eyes whenever he was in the room. Sure, I know you know love me too, but there’s something special about Daddy. It’s for good reason, Sweet Girl. He loves you with everything in his being and when he says you’re beautiful whether or not you are wearing a pretty dress, he’s right. Believe him. Remember that. Until God gives you a man like Daddy to marry. I love how you talk. I love your exclamations and how you get “cited!” over things that seem mundane to an adult. I love how you holler, “Mommy! The butterflies are on!” when you wake up and how you have the passion and courage to tell Daddy to get his paws off your bacon when we have special breakfast. You’ve taught me to be attentive, patient, and understanding. When we first started going on walks around the neighborhood, I’d point things out to you. Now you are the one pointing things out to me. Not because I’m not looking, but because you love knowing what is going on around you and seem to be able to take it in just that much quicker with your child’s eye. Speaking of patience, on one of these walks, you decided to throw more than one tantrum and I had to choose to wait with you through your frustration or react harshly. Thankfully, Jesus showed me how to give you grace and we sat together as you worked it out. I’ve learned more about myself and what is truly important in the last 3 years (which includes the time I got to feel you kicking inside of me) than in all 30 I’ve had here on earth. You’ve shown me that staying home is quite possibly the most difficult yet rewarding job any parent could undertake. I never dreamed of staying home with children until we had you. Now I can’t imagine going to work every day of these little years where you have changed so much, on what seems to be an almost hourly basis some days. It amazes me how just being you could change so much of my life. But then again, why shouldn’t it? God gave you to us. Plain and simple. He challenged me and your daddy to learn to be more like Him as we learn [together] to be better parents for you. I’m sure it’s much more fun to be your mama than it is for Him to be our Heavenly Father. Thank you, dearest Serafina, for teaching me how much God loves me through how much my heart aches with love for you. I can never love you as much as God does but I am beginning to understand perhaps just how big His love is for each of us because of the time I’ve had to call you my daughter. I’m sad this is the end of being just your mom but I know that you already love Baby Brother so much – almost as much as I do with that giant heart of yours. You’re going to have rough days when you feel like we love him more. It’s not true; God gives us so much love for both of you and we just get to show it in different ways when you’re an itty bitty or when you’re a chatty, active, fun, and goofy toddler. I know that when you say, “I wuv you,” you really mean it and I have tucked away your little voice so I can hear it in my heart. You are going to be the best big sister and I can’t wait to hear you tell your brother how much you love him. Thank you, Serafina, for letting me be your mama. I know it will never be the same again but that doesn’t mean it won’t be even better. Disclosure: This post may contain affiliate links. 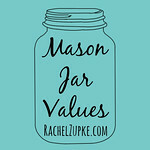 Your clicks/purchases help support Mason Jar Values at no extra cost to you. Growing up, I had a fancy carrying case for my Bible. It was made of quilted fabric with a handle and pockets for everything. I’ve outgrown that (and the overly thick kids/teen study Bible that lived in it) but I’ve recently desired a some sort of a case that could house my Bible, journal, and book I’m currently reading. I went a little crazy at Hawthorne Threads, my favorite online fabric shop, and purchased some amazing fabrics that were just begging to be made into something useful yet beautiful. Since I already make a similar shaped item for my Etsy shop – a little bag for a few diapers and a pack of travel wipes – I thought I could upsize it to fit my Bible et. al. I had been hesitant to take my “full size” (it’s not that big) Bible with me on trips since I didn’t want it thrown around in my bag. With this, though, I can happily toss it in when I travel because I have everything in one place and I know it will be protected in the clutch! Want to make one yourself? Follow these instructions (I don’t currently feel the need to recreate the wheel by posting another set of instructions so just use hers :) ). Rather buy one? Hop on over to my Etsy shop and purchase one! Right now I just have the diaper clutch listed but if you want it for a Bible/journal/book, just include that in the comments to seller section. I have plenty more of the fabric I used to make mine or I have lots more choices…again, just send me a message. As we’ve grown our family, I’ve found that I desire more and more to seek out the writings of others to inspire, encourage, and guide how I focus my time as a mom, shape my attitude toward my child (as well as shape theirs), and generally orient myself toward Jesus. I purchased several ebooks thinking I’d read more since ebooks often cost significantly less than their printed counterparts (this meant also getting a tablet but that’s a whole other story). That said, I found that I truly love the feel of a book in my hand so I’ve been saving up to purchase the many titles on my list. Since I’m a big underliner/margin-writer so I usually purchase books I think I’ll be digging into. Plus, my yearning to find a new devotional and/or constructive book has yet to be successful via the selections at my local library. For a recent trip, I decided to throw two of these books into my clutch along with my Bible (+ my tablet is busted but is currently being replaced thanks to foresight in purchasing a SquareTrade warranty!). I am SO excited for airport time by myself where I can read to my hearts content…don’t get me wrong, I love traveling with my husband and daughter but there’s something so relaxing about having a little “me time”, even if it is in uncomfortable vinyl chairs. I am taking the following 2 books on my trip: Hands Free Mama by Rachel Macy Stafford and Love Idol by Jennifer Dukes Lee. Both of them deal with letting go of perfection, with Hands Free Mama hitting the more practical side like setting aside technology to focus on higher priorities and Love Idol aiming at our heart attitudes and how our approval needs to continual come from God and not what we’re capable of. I *think* I need to read Love Idol more than Hands Free Mama but I also am excited to see how they will work in tandem. When I get back, I’ll keep going through Shepherding a Child’s Heart by Tedd Tripp. My best friend loaned it to me so in lieu of underlining to my heart’s content, I’ve been transcribing parts that stand out to me into my journal. This has been a great experience so far, harkening back to my college days. I learn so much when I am forced to write something out in my own handwriting and I have already been able to use some of the principles because they are better ingrained in my mind thanks to the physical writing of them in my journal. What are you currently reading to bring you more in line with what Jesus wants for your life? It’s over! Thanks for taking a look and hopefully you had a chance to snag it! You have 6 – count ’em! – 6 days to buy this rockin’ ebook bundle. In acknowledging the amount of time you have to get your hands on this (okay, get your hands on your tablet/computer since they’re ebooks), I put together 6 reasons this will be your best $30 spent this spring (and maybe all year!). Reason 1: $30 = a week’s worth of coffee shop drinks. Yes, you can give up coffee for a week and pay for ALL of these resources. Homemaking resources last a lot longer AND you don’t have to include them in your daily caloric intake. Yay! Reason 2: This bundle will SAVE you more than $30 a month. Stephanie Langford of KeeperOfTheHome.org and Kelly Smith of The Nourishing Home (two blogs I LOVE) have written 2 books that will get you [back] on track with your food budget and easily save you the $30 to cover the cost of the bundle. I’ve gotten to preview Stephanie’s Real Food on a Real Budget and it is spot on seeing as this is something my hubby and I strive to do in our own home. And while Kelly’s book Meal Planning Made Easy is debuting with the sale, I’ve been following her blog for quite some time and her meal planning methods are totally doable and really delicious. There have been many a month where I have followed her meals exactly for 2 weeks straight. :) Also related in the bundle (among many!) are Advanced Penny Pinching, 5 Days to a Budget Breakthrough, Frugal Secrets of Real Foodies, and Simple Cooking to Save You Money. Reason 3: Sanity in motherhood is worth WAY more than $30. Am I right or am I right? Whether you’re a mama now or are praying about becoming one, there are more than a few resources in here to help you stay [get?] on track with your heart attitude in motherhood. All of us need encouragement in this amazing and difficult journey and there are more than a few things in this bundle to help you us out! 101 Independent Activities for Toddlers and Preschoolers? Yes, please. 76 Free Things to Do With Kids? Awesome. Or how about Sarah Mae and Sally Clarkson’s eCourse Discipleship and Discipline: Practical Parenting Help for the Desperate Mom? A friend of mine who’s 4 year old was being more than difficult took this and said it was amazing. Kayse Pratt’s Undivided Mom (which I reviewed) is also in the bundle and it is an incredibly encouraging devotional that is short enough to be doable but deep enough to feel worthwhile. Not a mom? 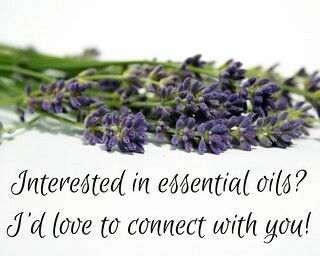 You can always give it as a gift, especially with Mother’s Day around the corner! Reason 4: Homemaking is a hard job and deserves our time and effort in order to do our best. When I started off as a stay-at-home mom, I had NO idea what I was in for. Sure, I knew it was now [mostly] my job to cook, clean, etc but I didn’t realize how much WORK it was! There are so many resources in this bundle to help with this incredibly rewarding yet difficult job like Taming the Laundry Monster (ours is particularly ravenous right now ;) ), The Homemaker’s Guide to Creating the Perfect Schedule, a pack of printables to make your life easier (plus who doesn’t like checking things off?!?!? ), and Money Saving Mom’s 21 Days to a More Disciplined Life. Reason 5: It’s a great resource for building and maintaining a strong marriage and solid parenting. My husband and I have been part of a marriage Bible study our entire marriage (coming up on 6 years!) and it has been the best thing we could have done: set aside time to purposefully work on our marriage. If you don’t have a group setting in which to do this, there are multiple resources in the bundle to encourage you in the daily work it takes to forge a strong marriage and home. There are devotionals (Intentional Marriage: The Art of Loving Your Husband and The Ultimate Marriage Vow: 21 Days of a Life-Long Commitment) as well as ebooks that help you with the practical, everyday things that make your home AND your marriage a haven in our crazy world (The Cherished Home: Protecting What’s Important). There are also several parenting resources (Character Badges for training up your littles to More Than A Holiday: A Christmas Countdown that Counts) among many others! Reason 6: Your time is valuable and these books get straight to the point of whatever you need help with. Let’s be honest. You probably don’t have a ton of time for pleasure reading. At least I don’t. And I only have 1 kiddo! Plus, how many times have you looked something up on Pinterest and it’s taken you to a broken link or just a picture (my most frustrating Pinterest moments!)? With these resources at your fingertips, you can browse for exactly what you’re looking for: No Cook Freezer Meals? Healing with God’s Earthly Gifts (Natural and Herbal Remedies)? Don’t waste your time Googling (or Binging)! If you buy through my affiliate link, I’ll send you a set of freezer inventory printables to help you make the most of your chest or upright freezer. Trust me, if you don’t have a freezer inventory, you’re probably wasting food AND money (perhaps at least $30, which would cover the cost of the bundle!). I’m working on an exhaustive how-to for cleaning out your freezer/organizing it/maintaining your own inventory so stay tuned. In the meantime, buy the bundle and I’ll send the printables you’re way! Have I convinced you yet? Click on any of the links throughout my post or click on the image below. And just as an FYI, the Kindle-specific version is more than $30. The PDF version works fine in your Kindle but if you want more reading options, you can get them. I’ve only mentioned a few of the 80+ resources included in this bundle. There are SO many more on homeschooling, self-care, cooking, Christian living…but you should really check it out for yourself! You can also wait to be charged until May 1 for those of you waiting for your next paycheck to have the extra spending money to buy this (boy, do I KNOW where you’re at!!!). You still need to order by the end of the sale (Monday, April 28th by 11:59 pm EST!) but your credit card won’t be charged if you CLICK HERE. If you have any questions, please feel free to email me or comment below!!! This post contains affiliate links. Please read the fine print for more information. No joke. Serafina and I had been away for a week and a half visiting her brand new cousin and she missed her daddy something fierce. Since we had just spent more than a few hours in the car, I thought it would be good for us to stretch our legs so we walked to Ben’s school instead of driving the 7 blocks. We made it to his classroom (kids long gone – it was a Friday afternoon, after all) and she nearly tackled him with her exuberance. It made my heart melt. But he needed to finish up a few things before he could come home and start the weekend so we started the walk home. Not a block away (we were still technically on campus), I asked her to hold my hand so we could cross the street and in her adorable little voice emphatically told me no. I picked her up and she started that crazy-arched-back-you-can’t-make-me fit. When we made it to the other side of the street, she was still carrying on so we sat down. Right there on the corner of the sidewalk. Rewind a few weeks when this all started…Ben and I weren’t sure what to do with her when she got “like this” so we reverted to our training with abused and neglected children that we worked with for so many years: restrain them until they calm down. And you know what? It works. At least for our child. Once the screaming and crying is done, she has to give us a hug (“squeeze!”) and kiss to be “released.” Please note that “restrain” = holding her in our lap in a hug until she’s done wriggling and screaming. Back to the sidewalk. Serafina’s still screaming. Really loud. And is visibly quite agitated. I’m asking her questions in a very calm voice: “Would you like to walk holding Mommy’s hand?” “Would you like to ride on your car?” (she had ridden most of the way to school on a little car) “Would you like to hold My-My’s leash?” All of these get a response of, “NO!” and more crying. People are crossing the street to go around us because they don’t want to walk by a crying child (I was out of the way, I promise). Finally she’s done. And I get my squeeze and kiss (unprompted now, she’s thrown so many fits) and we start on down the sidewalk. Only to face the same I-don’t-want-to-hold-your-hand-to-cross-the-street and won’t let me carry her so we have another fit. And another sit-down on yet another sidewalk corner with me telling her that Mommy will wait until she’s done and Maya laying down with a big sigh (what I would pay to know what that dog is thinking!). Thanks to time recently spent with a godly friend of mine who has 5 kiddos (under 7! and no twins! ), I have been inspired to emulate her daily time in the Word. I still don’t do it every day but I’ve been a lot more consistent lately. That said, I’ve been reading James. And he is very clear that patience pays off. Until I see His plan come to fruition, I will be patient. And I will sit on the sidewalk with my daughter. Over and over and over again. Isn’t that what He does with us? What a great God we serve.